After she overcame injuries during the indoor season that severely curtailed her performances, then had a bad start to her 2018 outdoor campaign as a result, Lakeisha “Mimi” Warner broke her own 2-year old 400-meter hurdles national record on Saturday. 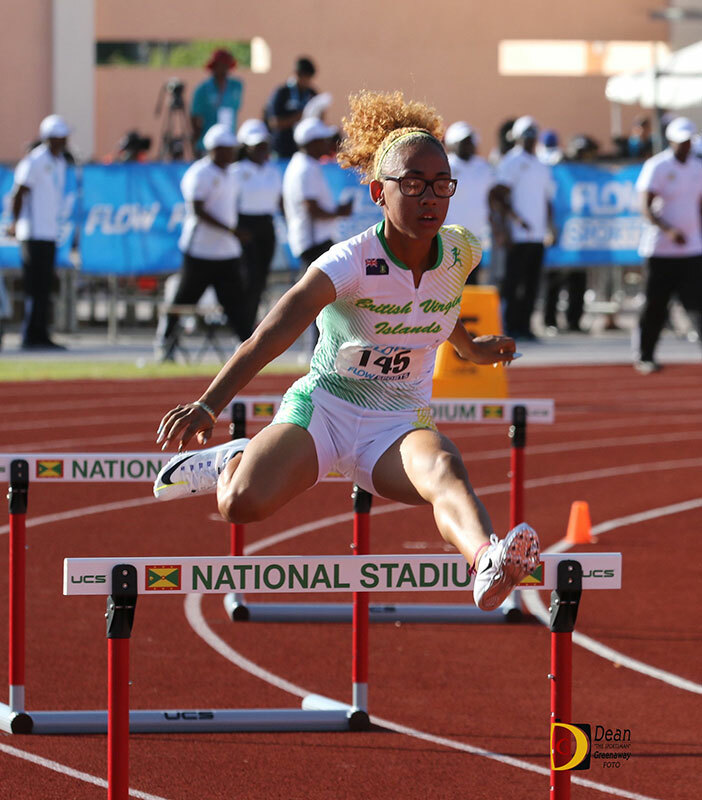 Warner, a Clemson sophomore who opened her season with a time of 1 minute 04.14 seconds, ran 57.76 seconds to win her heat at the LSU Gold in Baton Rouge, Louisiana, to eclipse the 58.14 personal best time she ran to claim a Carifta Games silver medal two years ago in Grenada. In other collegiate action, Central Arizona College sophomore Tarique Moses, followed up last weekend’s 400-meters season’s best of 50.08 seconds with 50.19 to finish seventh in his heat at the Brian Clay Invitational in Azusa, California. Barton County College freshman Adriano Gumbs led off the 4x400m 1600 winning relay that ran 3 minutes 13.33 seconds at the John Jacobs Invitational in Norman, Oklahoma. Coming off a personal best of 47.88 seconds last weekend, Josh Hill, representing Elite Performance Track Club, was third in his 400m heat at the Michael Johnson Invitational in Waco, Texas. He finished with a time of 48.43 seconds. He had a wind aided 22.41 seconds in the 200m to finish second in his heat. Hill’s sister Taylor, a Houston Baptist junior, ran 12.38 seconds to place second in her heat of the women’s 100m and eight overall, at the J Fred Duckett Twilight Meet in Houston, Texas. Her 25.99 seconds in the 200m was good for fourth place in her heat. Jonel Lacey, an Albany sophomore, rode a 4.8 meters per second tailwind, well over the the allowable 2.0 mps, to a fourth place finish in the women’s 200m dash in 24.41 seconds, competing on her home track at the UAlbany Spring Classic in Albany, New York. Tarika “Tinkerbell” Moses, ran a 400-meters season’s best of 54.18 seconds for third place in her heat and sixth overall, at the 60th annual Mt. SAC Relays, in Walnut, California. Versatile Adaejah Hodge continued her streak of good performances at the Georgia Middle School State Championships in Lilburn, Georgia. The 12-year old ran 12.68 seconds in the 100-meter dash to finish third overall. In the 200-meters, she dipped under the 26.00 second mark under all conditions for the first time, by running 25.88 seconds and settled for fourth place.